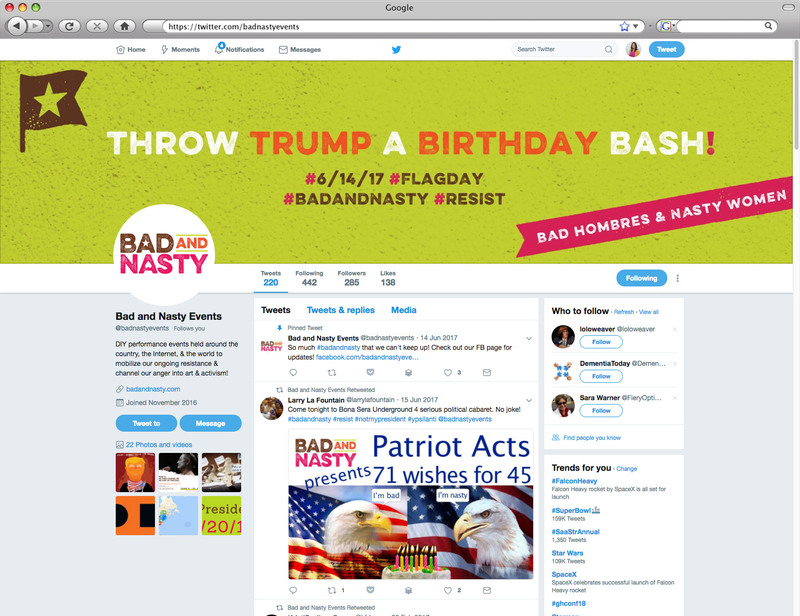 Bad and Nasty is an international coalition of artists and activists committed to channeling art and anger into activism and action. 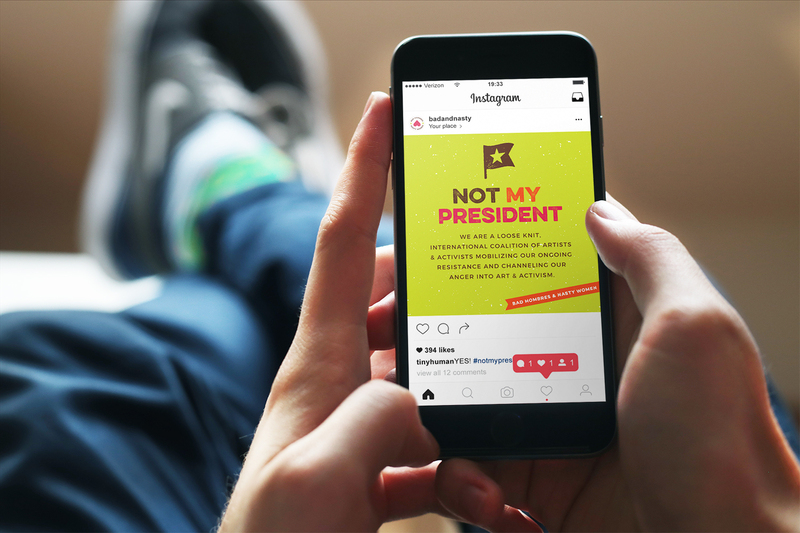 DIY events, protests, and performances are held all over the world in the spirit of persistence and creative resistance and to support Bad Hombres and Nasty Women. I connected with Bad and Nasty through Visible, a nationwide organization dedicated to facilitating activism within the creative industry. 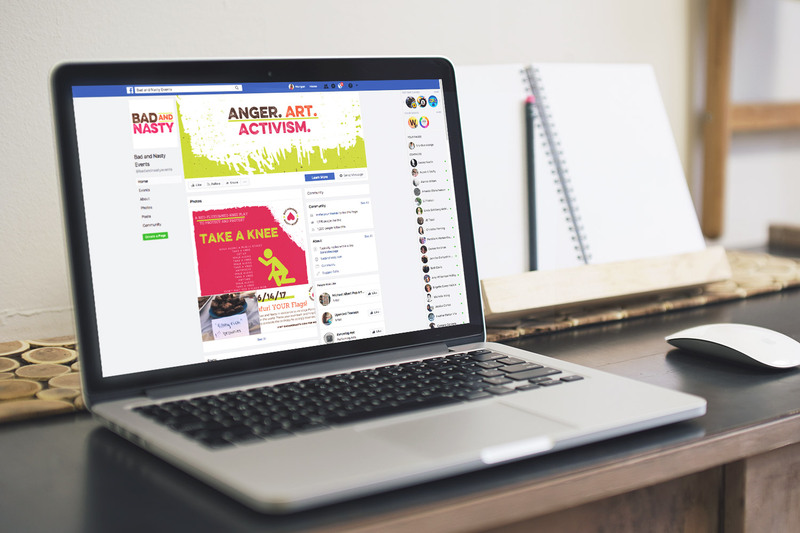 I took the Visible pledge to complete one pro-bono project per year and worked with Bad and Nasty to further develop and expand their brand identity as well as create some social media templates to assist with marketing and promotion of events. Historically, I’ve never aligned myself with one specific political party or activist group. That was until President 45 took office. Now, I’m proud to call myself a Nasty Woman. 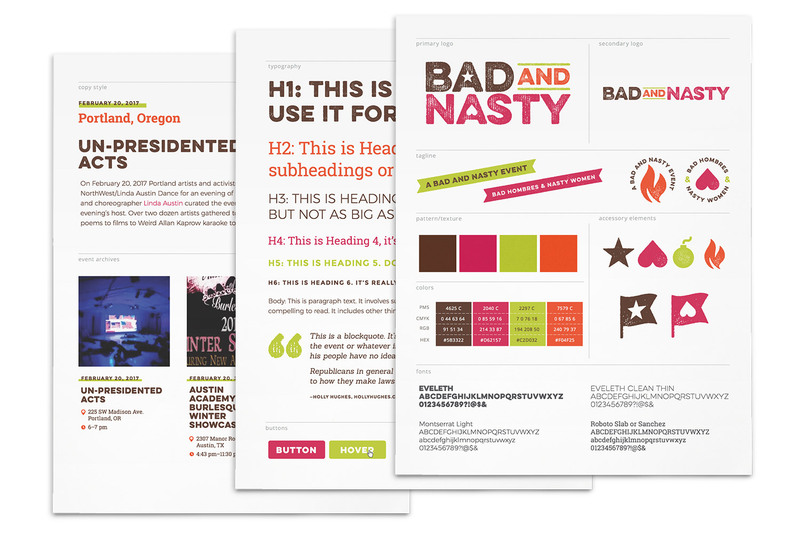 The whole process really helped clarify the power not only of good graphic branding, but also the importance of seriously considering the style and tone of your copy. I knew I needed help from a professional designer but when I saw the difference between my own sad attempts at working with our logo and Morgan’s sassy and holistic approach, I kid you not, I actually cried. The brand helps our loose collation of activists have a center to cling to.